The Medium/Tween Bean Bag is Sturdy, Double Stitched, and a Child Safe Zipper. Amigo Suede in Orange Corduroy. 105" Circumference (L28" x W28" x H19"). Ideal for Gaming, Studying, Watching TV, or just Kickin'. At just 7 lbs, it's Easy to Move from Room to Room. Adjustable Bean Bag Individually Conforms for Cozy Comfort. 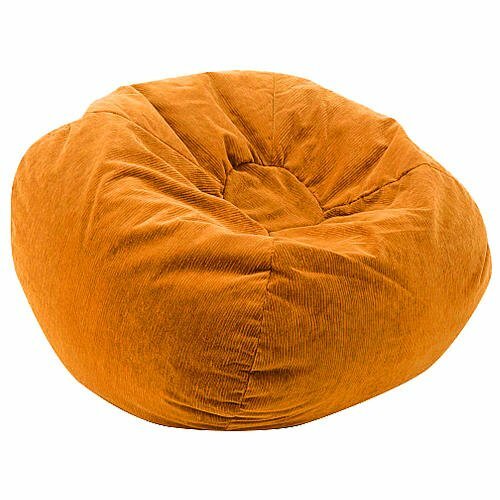 This Durable Bean Bag is Made in USA and has Easy Spot Clean Maintenance. Filled with Virgin Expanded Polystyrene Beans.